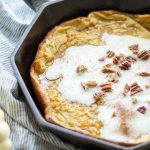 A large, puffy pancake rich with pumpkin and spices – this Gluten-Free Pumpkin Spice Dutch Baby is going to be a delicious addition to your breakfast menu. 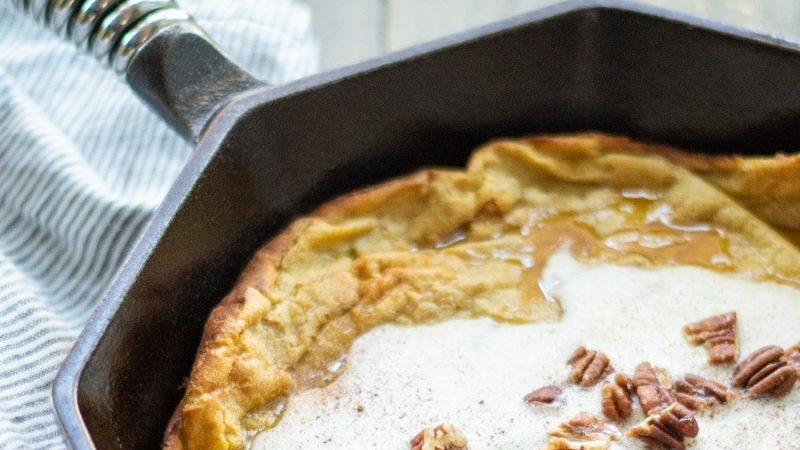 Add butter to an 11-inch cast-iron skillet and place in the oven while you mix the batter. In a large mixing bowl whisk the eggs. Add in the remaining ingredients and whisk until well combined and no lumps remain. 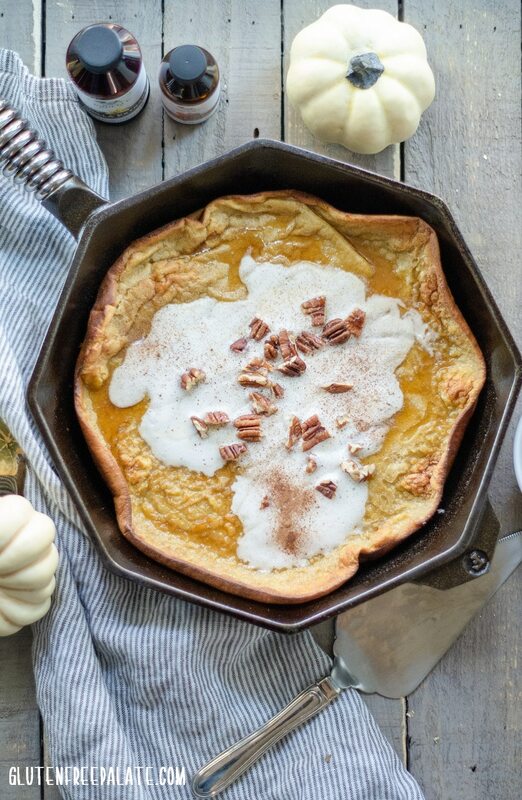 With a hot pad, pull the skillet out of the oven and pour the batter in. 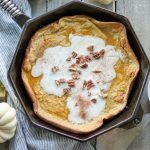 Return the skillet to the oven and bake until the pumpkin dutch baby is puffed and golden brown, about 25 to 28 minutes. 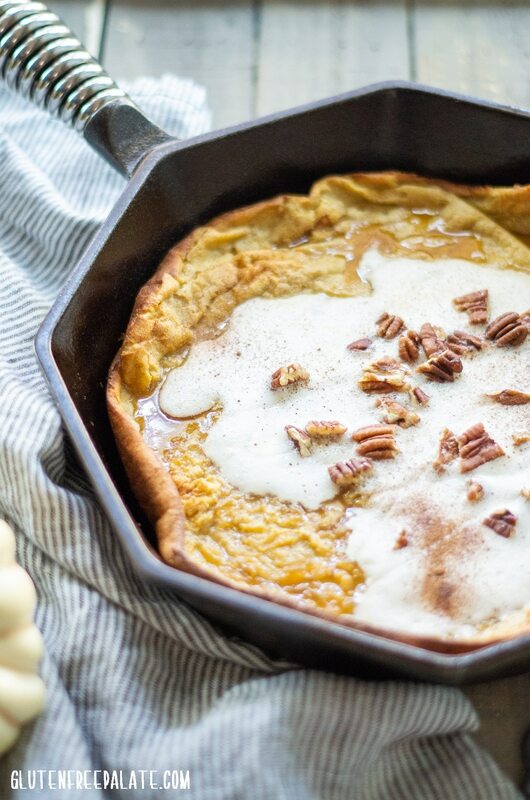 Cut dutch baby into slices (similar to pie slices) and serve warm. If desired top with your favorite toppings. Note: This recipe was created for Rodelle by Gluten-Free Palate. Click here to view the original recipe and more information!